Clutter: a funny little word that means a collection of things lying about in an untidy mass mess. 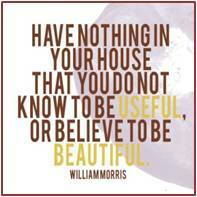 Unless you are a minimalist, you deal with clutter. It’s a by-product of life; things that end up waiting for someone to deal with them. 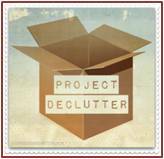 Clutter sneaks up on me, and to that end I’ve embarked on my 2016 goal—The Declutter Project. For the past four years I’ve participated in a Lenten program called 40 bags in 40 days. Each day you fill a bag with items that will be 1) donated 2) given away or 3) discarded. It’s how I deal with stuff that accumulates while I am trying to figure out how to manage it. I have been successful with this program in big and little ways. Large projects like the linen closet or pantry net very satisfying results. Outdated or worn items are easily identified, placed in a bag and removed from the house. Smaller efforts like the junk drawer (admit it—you have one) or under-sink cabinets take 30 minutes and the declutter goes to the trash. Mega projects like the attic or basement are a different story. I hold on to things, and this is where they go to live. They may be out of sight, but my mother’s china cannot be thrown or given away. Instead, it has taken up residence at the top of the house. Baking pans are also ostracized. I don’t use them every day, but they have a shelf in the basement and receive regular invitations to the kitchen; they just can’t live there. Big stuff is a different kind of clutter, falling outside the 40-day perimeter. This is my year to address it, as part of my resolve to do more with less. By tackling one project at a time I will arrive at the end of the year with my goal completed. My sister will assume custody of the china. Clutter is simply a postponed decision. There are those who deal with it well and those who don’t. At the extreme end of this spectrum are the hoarders. Hoarding is the nightmare I have when I can’t release something. Once in a while I watch an episode on TV and begin to worry that I am inching closer to an episode of my own. I use this as inspiration. Clutter is more than physical things that pile up around us. Clutter affects your body, mind and spirit. Just as air flows smoothly though empty space, so does positive energy. When physical, emotional and spiritual spaces contain too much clutter everything slows down. After I decided to tackle the physical areas, the other two not only become apparent but intertwined. In addition to removing things from closets and cupboards I recognized the need to declutter emotional baggage and clear my spiritual focus. I’m on top of this one; I have a plan and I’m sticking to it. I know what needs to be addressed. I am not afraid to use other people’s tools and ideas to help me achieve my goals. I am rewarded with progress. 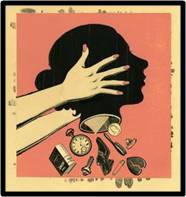 In her book “The Life-Changing Magic of Tidying Up: The Japanese Art of Decluttering and Organizing,” author Marie Kondo offers a unique and somewhat drastic approach that took her to the top of the New York Times best-seller list. It’s hard, but it’s working for me. I started in the master bedroom by removing every single item from my drawers and closet. I followed her guidance and examined each item, thanking it for being part of my life, recognizing I no longer needed it and placing it in a bag. Only the most joy-giving items remain, and must be returned to a location that is tidy, visible and accessible. Newly inspired, I look to the other areas of my life that are in need of an extreme make over. Emotional clutter comes with feelings. Dealing with them requires encouragement and support. It is fear based—fear of confronting and letting go of the past, facing the future, and limiting our ability to be in the present. Emotional clutter creates barriers to reality. I am learning to feel things and let them go. It’s hard, but letting go creates room for the good stuff. There are blessings waiting to enter our lives but we have to make room for them. Emotions that have outstayed their welcome and purpose drain our energy. Get rid of anything and anyone that makes you feel less than the amazing person you are. When we are burdened by clutter in any form we are stuck. Unreasonable clutter causes wasted time, dilutes our focus and creates inertia. Spiritual organization means getting in touch with what you need when you need it. When you remove physical and emotional clutter you clear a path for spiritual enrichment. Noise, stress, and chaos creep into our lives and lessen our ability to enrich ourselves spiritually. It is the inability to nurture and support your spiritual life that disrupts positive thinking and good judgment. The dissonance limits your ability to make worthy decisions that align with what you need. Different methods work for different personalities, there is no wrong way. By taking control of various forms of clutter we clear space for physical, emotional and spiritual energy to flow freely. Warning: Do not attempt to organize something that should really be decluttered. This entry was posted in Lifestyle & Culture, Susanne Skinner and tagged 40 bags in 40 days, clutter, declutter, do more with less, emotional clutter, Marie Kondo, minimalist, New York Times bestseller, spiritual clutter, Susanne Sklinner, tidying up by Aline Kaplan. Bookmark the permalink.